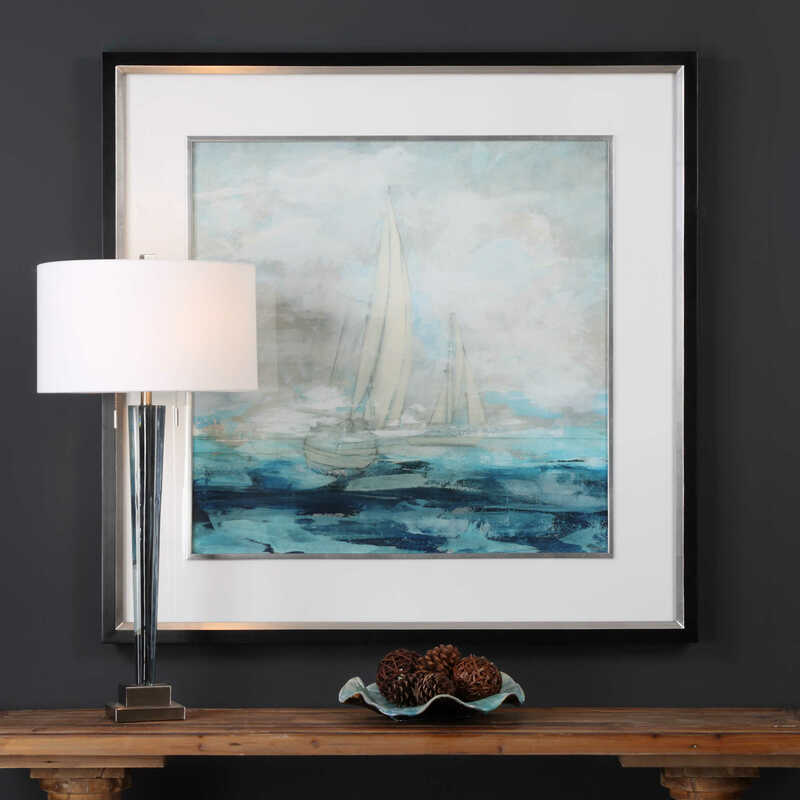 This art print features a modern, coastal design. 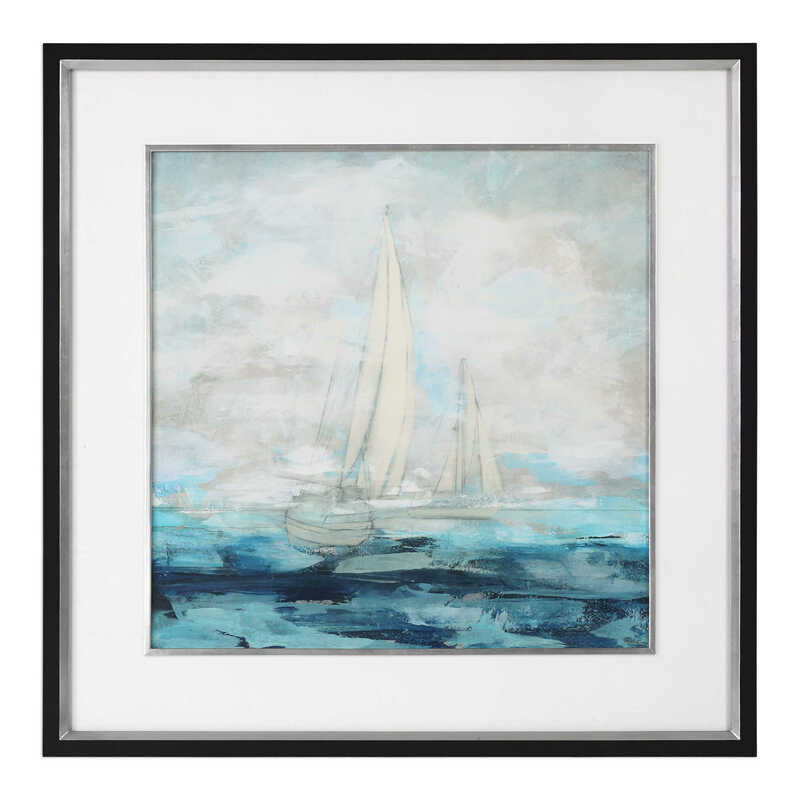 Containing sketched elements, the print incorporates shades of navy, aqua, white, and light gray. A crisp, white mat surrounds this piece of art. A black satin frame with a silver leaf outer edge, inner lip, and fillet complete this masculine, contemporary design. This print is placed under protective glass.